From the back cover: For Stanley Black, as it did for all of us, it started with piano lessons. But it soon became apparent that Stanley was no ordinary pupil. He was not merely a model student, he was gifted and from the performance of music to composition was for him a short and easy step. At the age of twenty-three he broke into the highly-competitive world of film music. It was an open door to success and many men would have been content to confine themselves to this field alone. Stanley has continued his association with the screen right up to the present time but nowadays his commissions in the film world are only one of the outlets for his many musical accomplishments. At the outbreak of war, Stanley Black was quick to join up, leaving as he thought, the world of music behind him. But once in the R.A.F. he was soon conscripted into applying his unique talents to the entertainment of his fellow servicemen. Upon his release from the services the possibilities seemed so numerous that at first it was difficult to choose between them. After a brief period of free-lancing, however, he was signed up as conductor of the B.B.C. 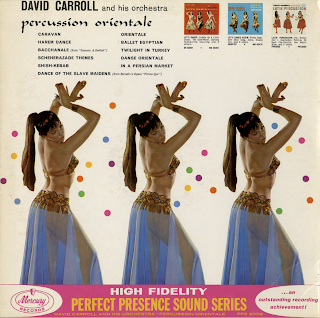 Dance Orchestra, an appointment which lasted until 1952. 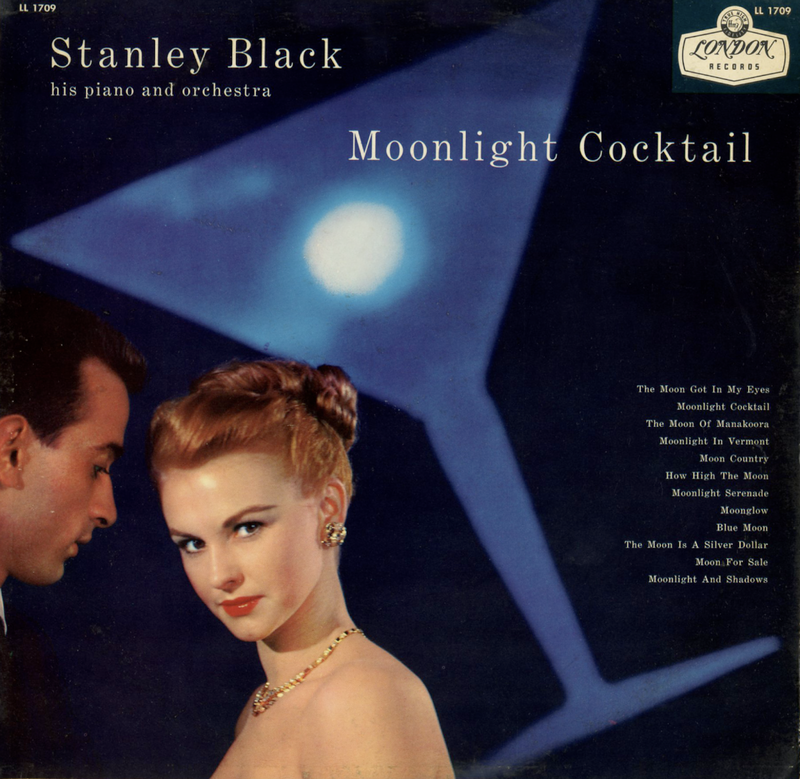 Stanley Black's work for the B.B.C. 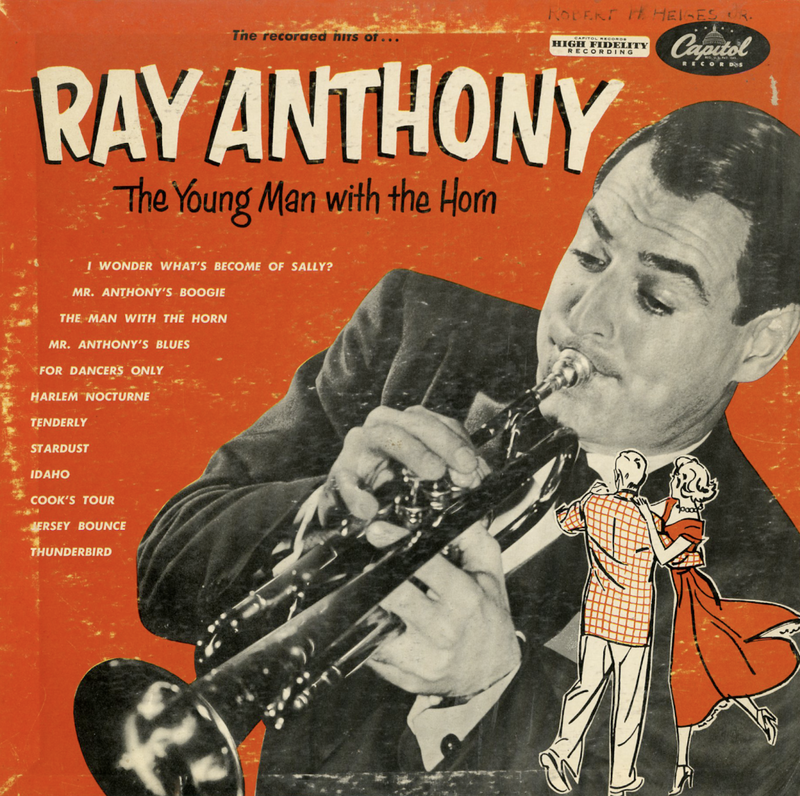 was recognized in 1951 by his selection to appear with his orchestra in the Royal Command Variety Performance. Helen Merrill's biographical background has been sketched previously on her first three EmArcy Long Plays. In capsule form, she was born in New York, July 21, 1930; has been singing professionally since she was 15; absorbed an early jazz apprenticeship by working sessions with such major jazz instrumental voices as Bud Powell, Miles Davis and J.J. Johnson; has had band experience with the Earl Hines All-Stars. 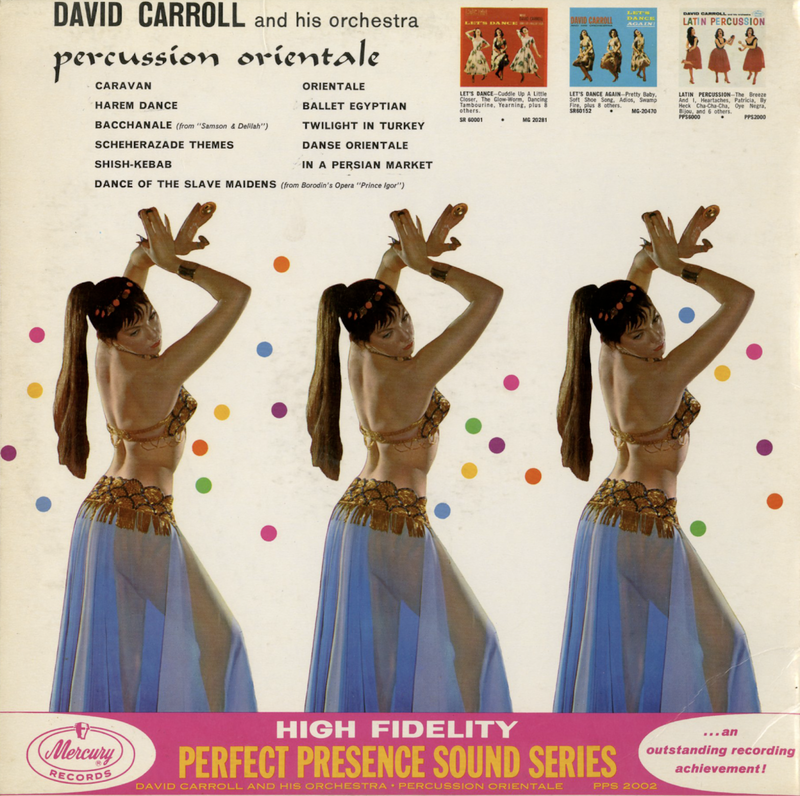 She is now a single; has worked an increasing number of the career-determining jazz rooms, and she is the first young modern American vocalist to have achieved a pulsating personal success in South America. Helen is not concerned with categories. She takes her singing seriously, but she does not expend polemical energy in worrying about whether people term her a "jazz singer" or not. "I'm a musician," she explained succinctly. "I don't care what you call what I do; I'm interested in producing the best music I can with what I have." What, then, are the ingredients of a jazz singer? 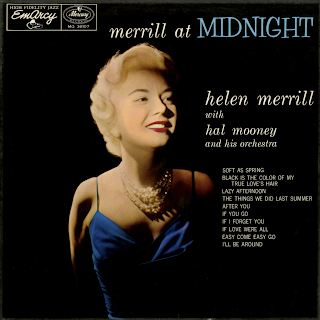 In compiling a list of the qualities a jazz singer must have, in her estimation, Helen described those virtues that many critics and musician have been ascribing to Helen herself. "You must have, first of all," she underlined, "the natural feeling to be a jazz singer. You must have the ability to give yourself honestly; you must have the freedom to give of yourself from the inside musically and emotionally. I don't mean 'giving' in the showbiz sense; I mean expressing what you really feel. "A jazz singer must have a natural ear for chord changes. She must be aware, very aware of the music behind her and she must try to become part of it. A jazz singer must feel the way a musician does, because she is a musician. 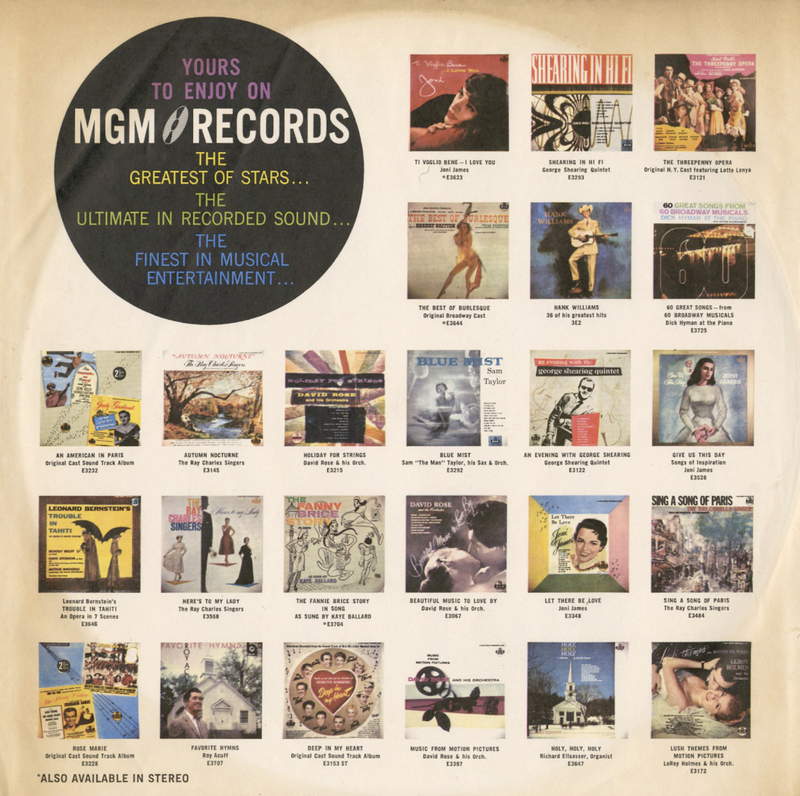 You must be aware of what musicians are aware of – the lines, the changes, the beat. Your personality should come through in your phrasing. There is no one correct way to phrase – especially in jazz. There is no textbook. You phrase what you are." 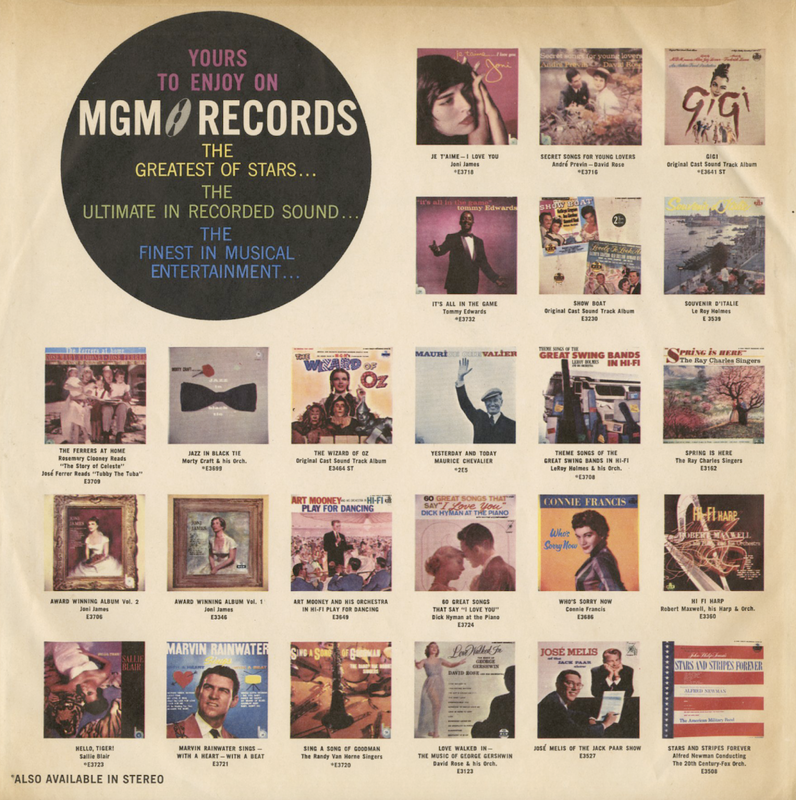 Another index of Helen's aims as a musician is her list of favorites. "For my kind of singing, I like Billie Holiday. Not necessarily the way she sounds today, although I did hear her in excellent form recently; but in previous years, it was Billie Holiday who gave me the courage to express what I felt. The fact that she made me feel I could continue. I was very different from other young singers starting at the time I did, and it was very hard for me to get work as a singer. But I felt if Billie could make it, maybe eventually I could." Unlike many of her contemporaries, Helen does not derive obviously from any one school, especially not the dominant O'Day-Christy-Connor line. She is original. "I think the reason I am not derivative is precisely because I do use music as a complete emotional outlet. I can't borrow from too many other people; I can only sing myself." 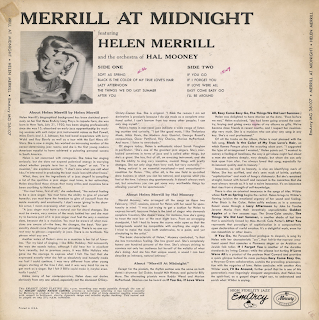 Helen's tastes in non-vocal jazz indicate a wide range of listening acumen and curiousity. "I just like good music. 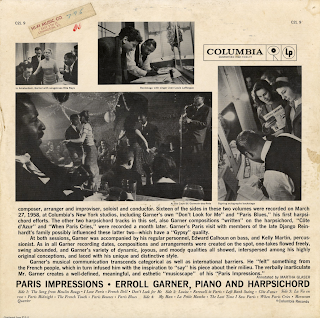 I like Thelonious Monk, Miles Davies, the Modern Jazz Quartet, George Russell's compositions, Oscar Pettiford, Ray Charles, Marion McPartland. And More. I listen to everybody." Of singers today, Helen is enthusiastic about Sarah Vaughan in particular. 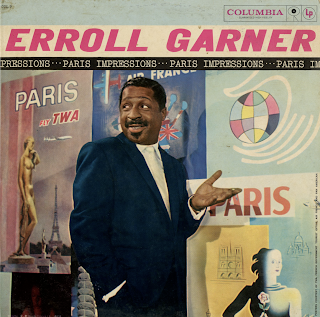 "She's one of the greatest jazz singers. 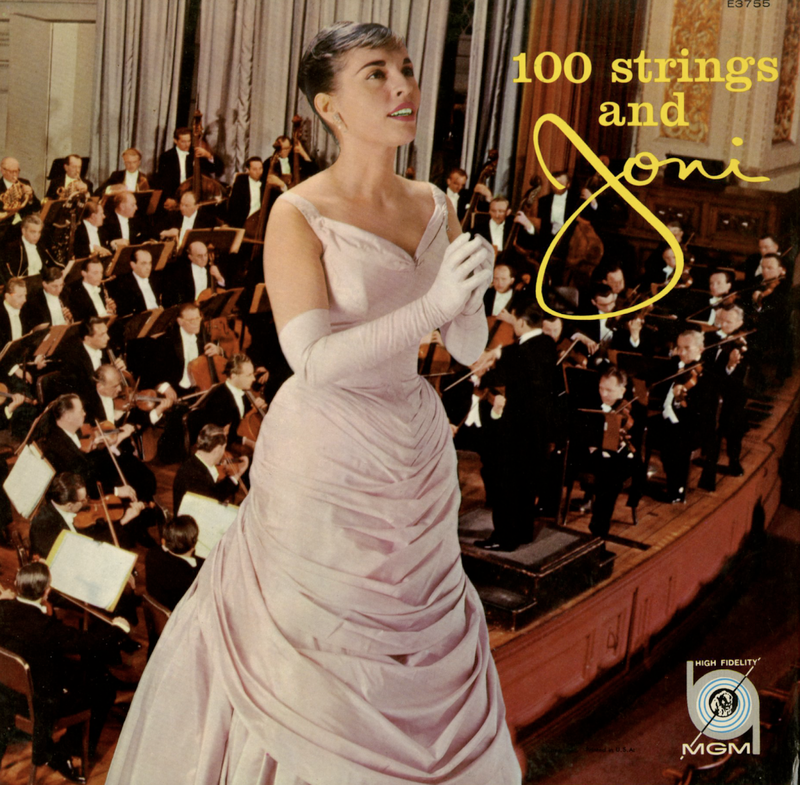 She's over-looked sometimes in terms of jazz and is called other things, but she's a giant. She has, first of all, an amazing instrument, and she has the ability to sing very inventive, musical things with pretty changes. She not only sings them very well, but very naturally." Being natural is an essential vocational – and avocational – condition for Helen. "This, after all, is the one field in so-called show business in which you can be natural, and express what you feel at the time. I always sing spontaneously. It doesn't always work out, but sometimes you can get some very worthwhile things by allowing yourself to be spontaneous. Harold Mooney, who arranged all the songs on these two February, 1957, sessions, scored for Helen with her need for spontaneity in mind: "I was just trying to get a cushion for Helen to express herself, because Helen is the kind of singer who demands complete freedom. She doesn't know, for instance, how she's going to treat the next bar or the next eight bars. From an arranging standpoint, I felt I had to leave the scores wide open so that the backgrounds would be compatible with anything she might do. I tried to make the music both unobtrusive, to a point, and yet stimulating to the artist." "The basic characteristics of Helen," Mooney concluded, "is that she has tremendous feeling. She has great soul. She's completely honest one hundred percent of the time. She's always striving to convince not only her audience but herself of the validity of what she's doing. And she has that unique sound, a sound I can best describe as intimacy, natural intimacy." From the back cover: In addition to the music and the way it is played, it is the instrumentation of the Prado band that sets it in a very special class of its own. To four saxes, four trumpets, one trombone and bass, three percussionists are added to keep the beat rocking, to keep it on its steady upward climb. 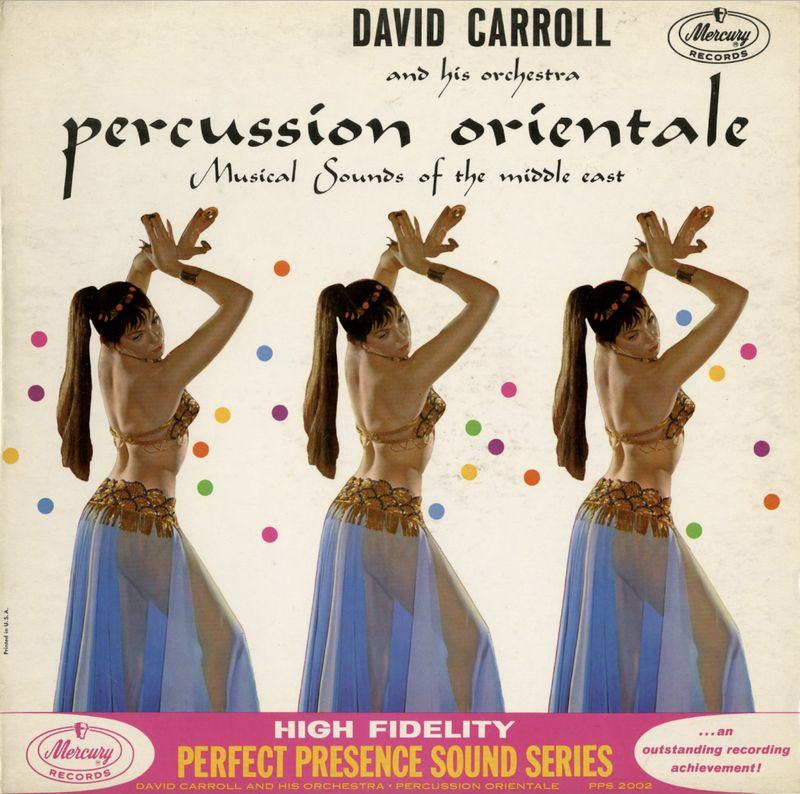 There is a regular drummer with the usual assortment of bass drum, snare and cymbals, but there are also both a conga and bongo-drummer, adding that special Latin sound without which Prado would not be Prado. 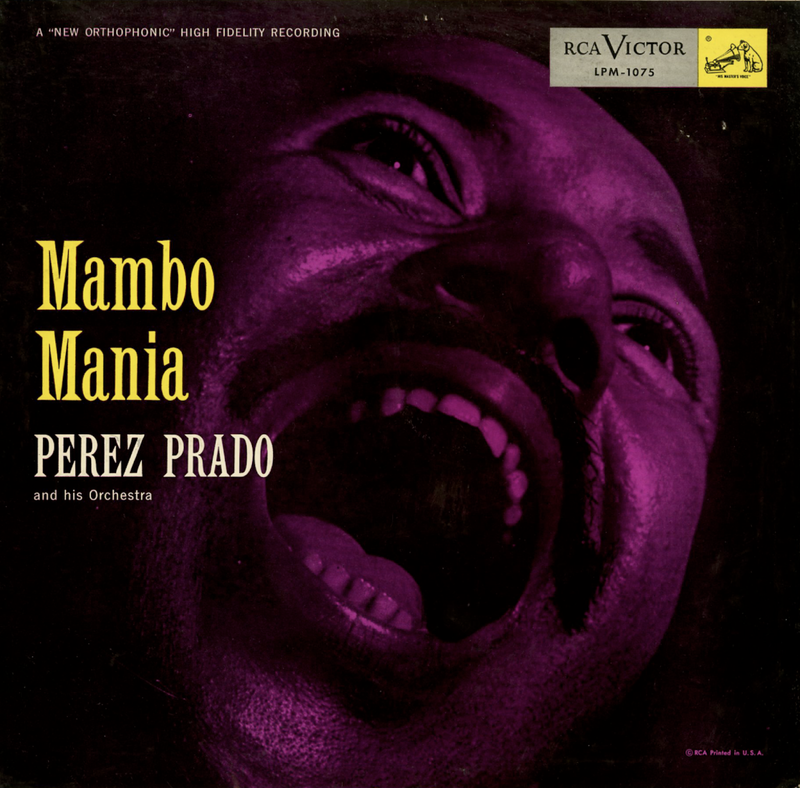 From Billboard - January 29, 1955: Perez Prado was one of the ringleaders in the swing-over to mambo rhythms in the Latin-American field last year, so his name on a mambo package is bound to pack extra sales appeal. 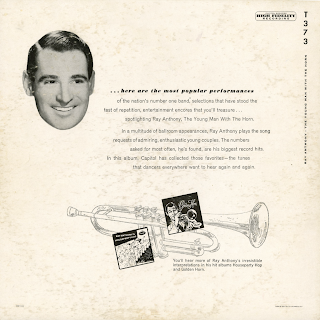 A "mad" candid closeup of the mambo king adorns the cover, and it's eye-catching enough to account for additional sales. 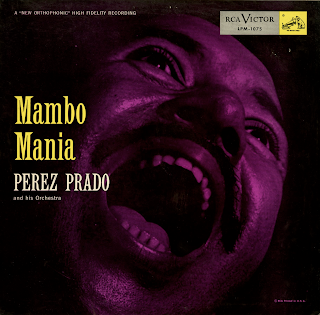 Prado is one of the better mambo exponents around today, and this LP features 12 of his best selections, including his own "Marilyn Monroe Mambo," "St. Louis Mambo" and "Skokiaan." 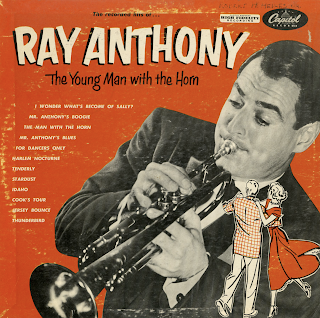 Recorded April 28 and May 1, 1958 at Webster Hall, New York City. 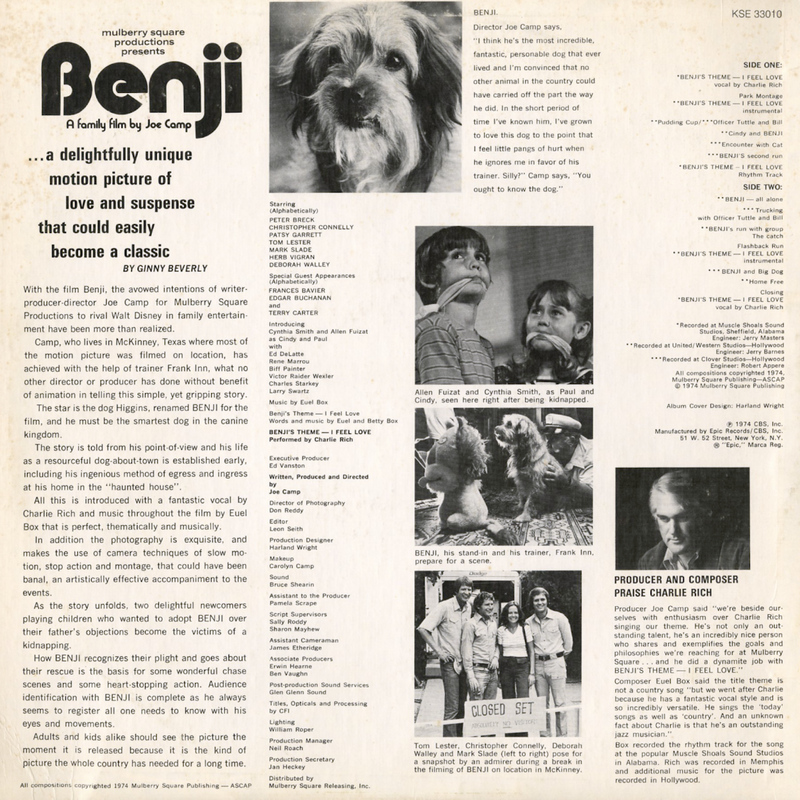 From the back cover (LX-1147): It was only six months ago, in this same space on her first album, that Bing Crosby delivered the first major address to the world about Pat Suzuki. 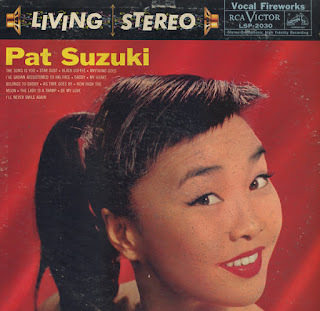 Since then, the Crosby endorsement and the Suzuki product have made The Many Sides Of Pat Suzuki (LX-1127) a best-seller on record shelves everywhere. 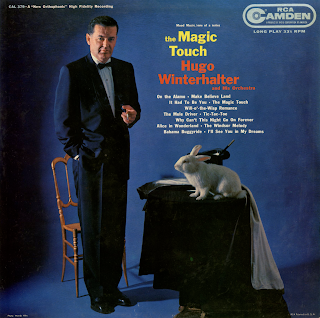 Bing, for all his implied excitement over his Seattle discovery, left the lengthy exposition of the Suzuki voice to the disc inside the album where it best describes itself. His typically understated approach further coincided with the wishes of Pat Suzuki's old-shoe modesty. Being something of an old shoe himself, and without intentions of dictating any formal rules of procedure, Bing nevertheless established an editorial policy of restraint and punctuality for this and all future Pat Suzuki albums. Basic facts of Pat Suzuki's twenty-four years include Methodist choir singing in her native California and professional development in Seattle. Now in her first departure from the West Coast since her beginning in 1955, she's moving with her natural drive and grave toward the very core of show business whose grass roots are embedded deep in the cement of Broadway. This year will be memorable for Pat Suzuki's debut in a Rodgers and Hammerstein musical, under the direction of Gene Kelly, in which she will dance as well as sing. 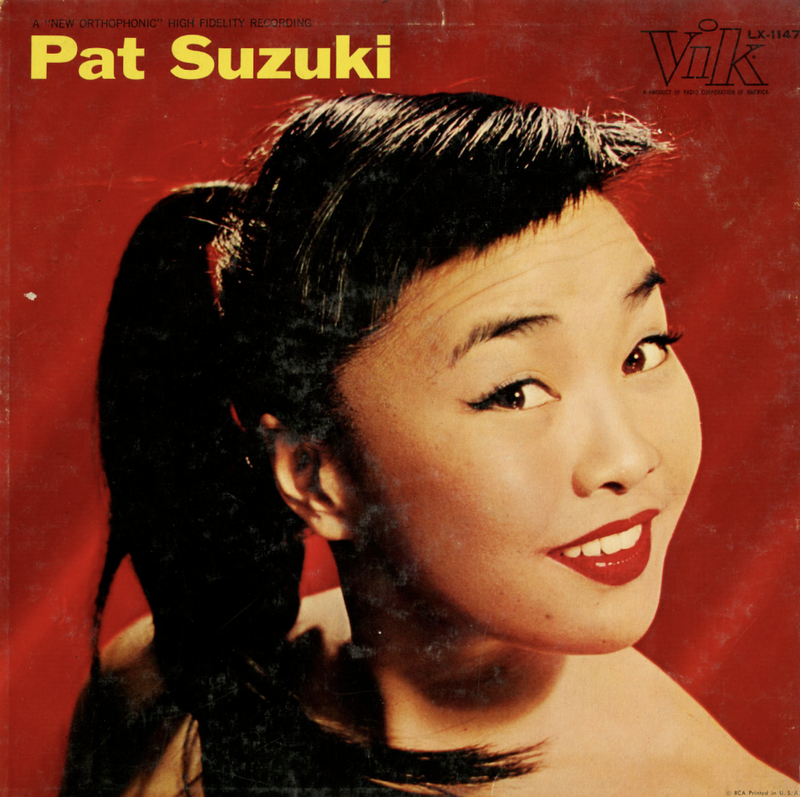 Barely more than two years after Pat Suzuki made her professional night club debut at Seattle's fashionable Colony, she was named this year's winner of the annual Downbeat poll of disc jockeys as America's Best New Female Singer." On the express track to the extraordinary national recognition that is now hers, Pat Suzuki has inevitably been likened to other singers, and the list is remarkable. A Variety reviewer saw traces of Jerri Southern, Billie Holiday, Judy Garland, Eartha Kitt and Sarah Vaughan; another critic found Mabel Mercer, Patti Page and Ethel Merman; and most recently a Billboard writer likened her to Rosemary Clooney in her slow moods and to Teresa Brewer and her faster tempos. Lean Horne, Gogi Grant, Eydie Gorme and Sophie Tucker are other names that have been posted in print as Pat Suzuki sing-alines. When confronted with the point-blank question, "How would you describe your singing? ", Pat's pat answer is, "Sort of a cross between Shirley Temple and Lawrence Tibet" – and she probably knows best. Now having been boosted to star status by the star statisticians in the night life, television and recording fields, Miss Suzuki, no longer likened to other singers, has been granted her individuality. 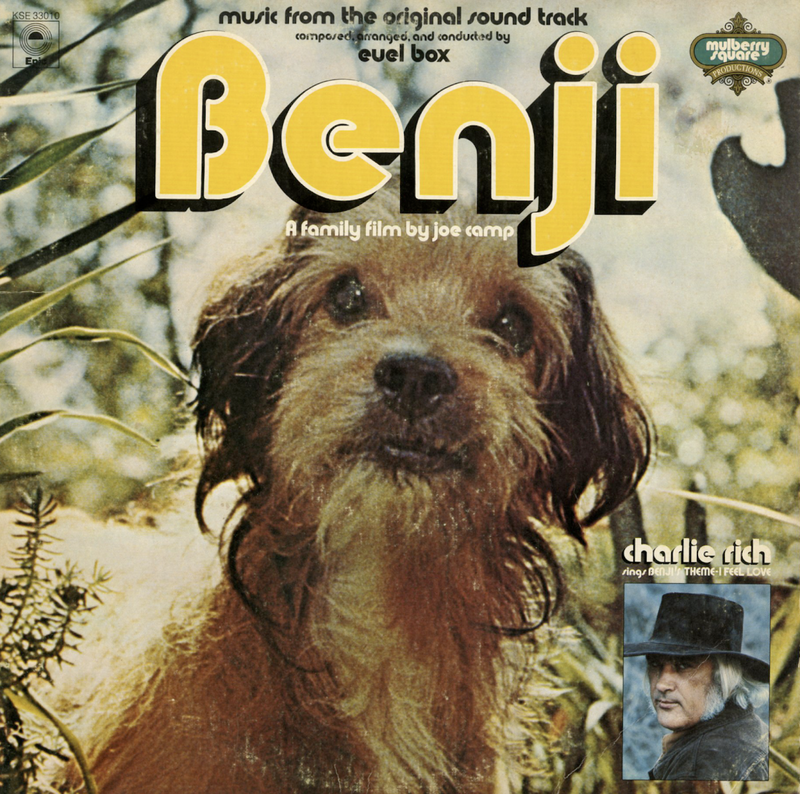 Henri Rene, to whom Pat gives the major credit for the success of her first album, is here again her partner in rhythm and rhyme. – Norm Borrow (Pat Suzuki's Manager). 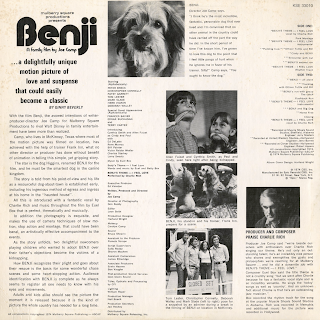 From the back cover: Arrangements for 'Til You Return, Syklark, For Better or Worse and Poor Butterfly were written by Tony Flanagan; all other are by Two Macero. What's New?, 'Til You Return, Walking My Baby Back Home and For Better Or Worse were recorded March 10, 1960, with the following personnel: Tommy Flanagan, piano; John Mackel, guitar; George Duvivier, bass; Osie Johnson, drums; and Robert Byrne, trombones. 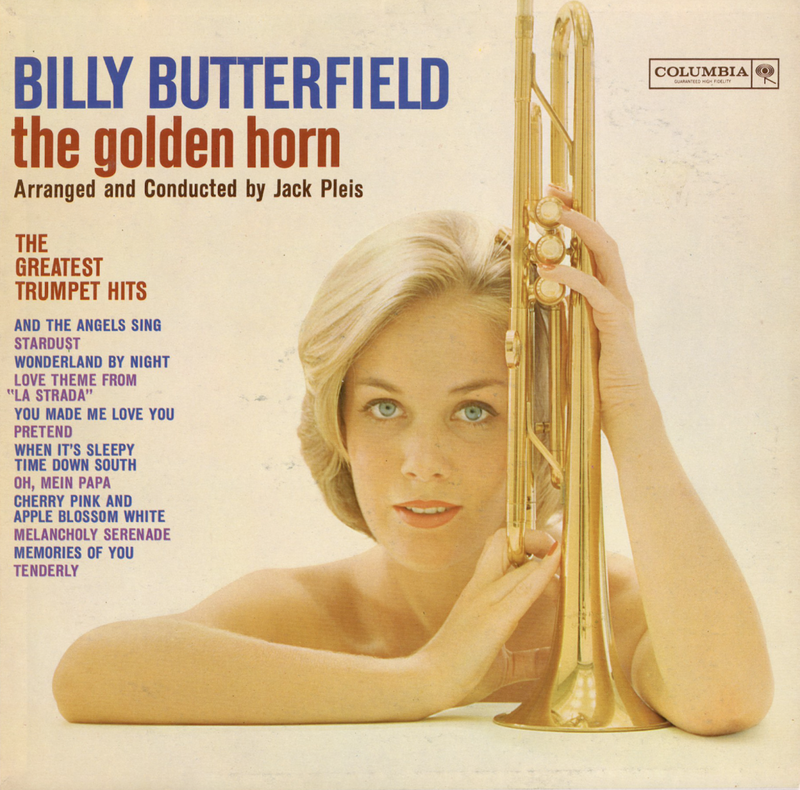 Syklark, Speak Low, Day By Day, My Foolish Heart and Poor Butterfly were recorded March 21, with Clifton Best replacing Mackel on guitar, and Santo Russo replacing McGarity on trombone. Blue Moon was recorded March 23 by Camp and Tommy Flanagan, with John Mackel on guitar, George Duvivier on bass and Elvin Jones on drums. 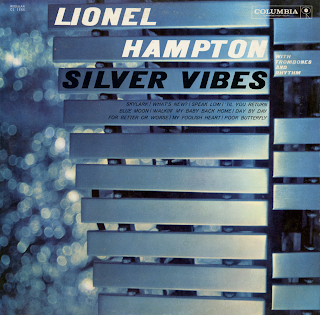 From Billboard - June 4, 1960: Hampton on vibes is supplemented here by a trombone quartet and standard rhythm. 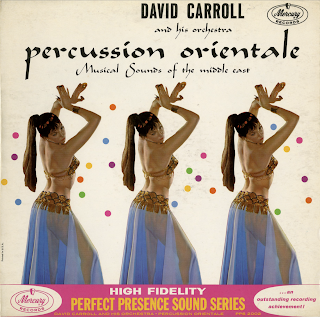 Result is a group of performances notable in tonal texture, and with fresh ideas in the arrangements. 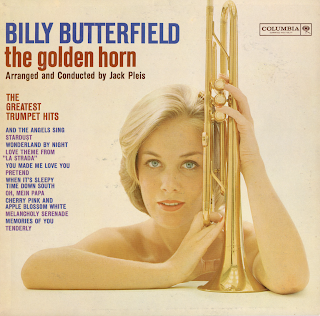 Ballads "What's New," "Poor Butterfly," etc. Solid wax.